With millions of kids of all ages taking part across the country over the years, The First Tee might just be the greatest grassroots grower of the game. More importantly, it’s done wonders for the kids, as well. The First Tee is a youth development organization whose mission is to impact the lives of young people by providing educational programs that build character, instill life-enhancing values and promote healthy choices through the game of golf. 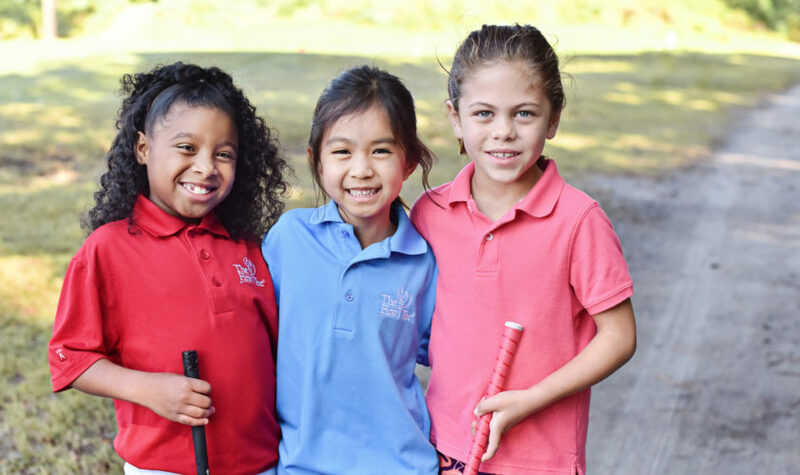 With support from The First Tee’s Founding Partners — the LPGA, the Masters Tournament, PGA of America, PGA Tour and the USGA, The First Tee delivers programs that introduce kids to the game of golf and its inherent values, reaching 15 million kids since launching in 1997. 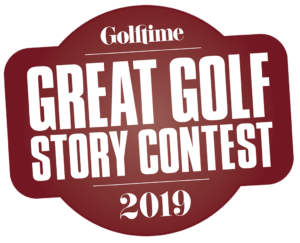 The First Tee offers programs in all 50 states through: the National School Program in more than 10,000 elementary schools, 150 chapters at more than 1,200 golf courses and The First Tee DRIVE at 1,300 youth centers. The First Tee of Southeast Wisconsin is partnering with new schools this spring in Fond du Lac, Waukesha, Greenfield and Milwaukee. Nine elementary schools with launch The First Tee National School Program. The First Tee of South Central Wisconsin is opening a fourth Learning Center location in Reedsburg. More than 300 youth will receive life-skills education and reading and math intervention programs during after-school programs in 2019. The First Tee of Greater Chicago partners with Exelon to bring more opportunity for girls and women in golf. The First Tee Girls in Golf Academy is a week long camp (June 17-21 at Harborside International golf course, see our story about Harborside on page 50) that will provide 40 girls ages 12-17 an opportunity to work on their golf skills, play and explore STEM Golf concepts, culminating in playing in a nine-hole tournament at the Exelon Women’s Invitational at Cog Hill on June 20. At The First Tee of Greater Cincinnati/Northern Kentucky, Girl Scouts and Boy Scouts learn golf and life skills while earning a badge. The First Tee of Greater Miami Valley is holding an Over the Edge rappelling fundraiser on Aug. 9. Though partnership with the Memorial Tournament and Scotts, The First Tee of Central Ohio will be taking over 100 kids to enjoy Junior Golf Day at the Memorial Tournament (held May 31 – June 2, see our pro golf schedule starting on page 88) in 2019. This day includes up close and personal interactions with PGA Tour players, autographs, lunch and a great day of first class golf. 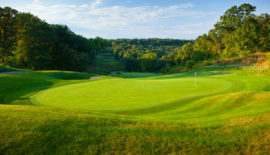 The First Tee of Greater Akron is now offering year-round programming at Mud Run Golf Course and Driving Range with the addition of an indoor golf simulator. Young golfers have the opportunity to play alongside Canton City police officers at The First Tee of Canton at the annual Cops Fore Kids. Lunch is provided and kids get to check out a SWAT truck and watch a K9 demonstration at this August event. The First Tee of Cleveland is opening a new location in Westlake this year. They will celebrate the summer season on Aug. 10 with a cookout and huge tent sale. The First Tee of Lake County is celebrating their 20th anniversary at their annual golf outing on July 10 at Lost Marsh in Hammond. This year The First Tee of West Michigan will expand from two to four teams competing in PGA Jr. League, providing opportunities for young people in The First Tee’s programs in Muskegon and Holland to represent their communities for the first time. 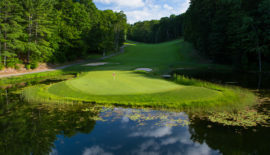 With the Dow Great Lake Bay Invitational coming to the area in July, the chapter is looking forward to offering The First Tee programs in Midland this year. 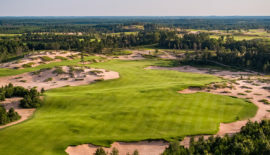 Youngsters who take part in the Travel League at The First Tee of Northern Michigan will have an opportunity to play at many outstanding locations including Mackinac Island. 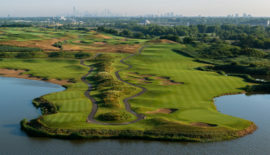 To find out more information and a program in your area, visit www.thefirsttee.org.